Heading down to the VA Showcase for the first time ever, Ursuline School drops a US #2 in the DMR with their 12:05.78. They overtook second place Friends Central (PA) by six seconds, and only trail Strath Haven (PA) for the national lead by 3-seconds. Ursuline had splits of 3:41 (Sarah Flynn, 1200m), 64.0 (Casey Conroy, 400m), 2:23.3 (Haley McClean, 800m), and 4:56 (Lily Flynn, 1600m). Ursuline is the reigning Outdoor National Champs in the DMR, and were set to face off against North Rockland, the Indoor National Champs, before rescheduling precluded the matchup. Still, Ursuline is projected to be one of the favorites in the 4x800m at the New York State Meet, and the DMR is a good indication that they are on the right track. 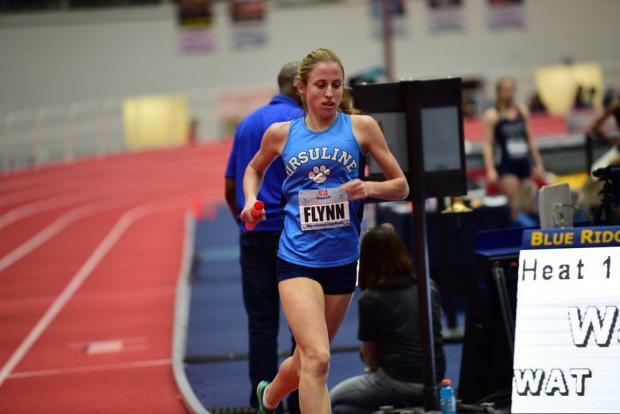 Lily Flynn is entered in the Invite 1000m, set for later this weekend.